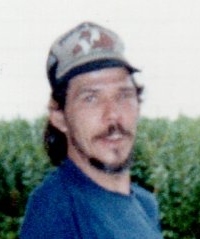 Rodney L. Windsor Sr., 65, of Clarion, died Wednesday, August 22, 2018 at his home. Born May 24, 1953 in Rising, MD, he was the son of the late Edgar and Mabel Gilroy Windsor. Mr. Windsor was formerly married to Katherine Chandler Windsor; she survives. He was a "jack of all trades," and enjoyed home maintenance projects and working on cars. Mr. Windsor is survived by a son, Rodney Windsor Jr. and his wife Tifani of Punxsutawney; two daughters, Sherri Windsor and her wife Shealene of Clarion and Tressa Matthews and her husband John of Punxsutawney; eight grandchildren, Autumn, Kaylynn, John III, Brandon, Cody, Tabitha, Zakery, and Sylas; and three great-grandchildren, Tatyana, Dale Jr., and Zachary. Also surviving are two brothers, Charles Windsor of South Carolina and Norman Windsor of Punxsutawney and a sister, Loretta Shaver of Punxsutawney. In addition to his parents, he is preceded in death by a brother, Wade Windsor and a sister, Dale Woodall. Family and friends will be received from 5-8 PM on Friday, August 24, 2018 at the Furlong Funeral Home, 50 Broad Street, Summerville, PA.